Here at Unlimited Cellular, we provide you with a long list of products that can help you boost signal whether you are at home or traveling. 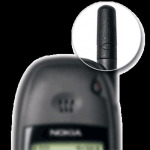 In this age when most customers are making the transition from landlines to cell phone and smartphones, an intermittent or poor signal is not accepted. The good news is that there are products and accessories that can help you get the most out of your carrier’s signal so you can make calls, send messages and even use data without the usual frustrations. 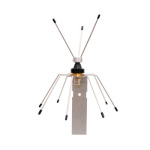 Browse our online catalog now and see a comprehensive selection of specialized antennas, mobile antenna, signal boosters and other related accessories that can help you take full control of your life online and on the airwaves when you are on the move. We carry some of the leading brands in cellular technologies like PCTEL MAXRAD, Wilson, Larsen, Laird Technologies and Mobile Mark Inc. 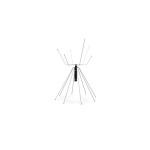 When you want mobile antennas that can help you simplify your access to the web and boost signal, we recommend some of PCTEL’s top products including PCTEL Maxrad 30-35 MHz 200W Heavy Duty Base Loaded 1/4 Wave Antenna – Chrome, PCTEL Maxrad - 30-54 MHz 250W Rugged Full Length 1/4 Wave Antenna and PCTEL Maxrad - 30-54 MHz 250W Rugged Full Length 1/4 Wave Antenna. 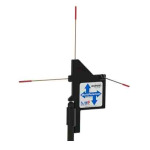 We also offer different kind of antenna that includes Multi-Polarized Scanner Antenna, Fiberglass Antenna, Reflector Antenna and Directional Antenna. We also carry related tools and accessories like gaskets for NMO coils, antenna mount rain caps and mirror mount with bracket assembly. At Unlimited Cellular, we got you covered. When you want to maximize the signal at home or when on the go, don’t hesitate to call us at (845) 625-2094 to order your accessories.